Photos of Bandhup, Mumbai by Ishan Thanka for urbz' Circulatory Lives project. HT: Is ‘Mumbai Return’ the first urbz exhibition to explore urban-rural relationships, or have you had a series such as this in your other bases – Geneva, Sao Paolo, Bogota, and Goa? M & R: We previously explored the concept of “circulatory lives” in an exhibition at the Center for Contemporary Art in Bordeaux and in Geneva. In these two places we asked the public if they too lived across more than one place, and we were amazed to see that a concept that we developed to reflect India’s contemporary condition was also relevant in Europe. However, the current exhibition the Bhau Daji Lad Museum is on a different scale altogether. And here the connection between the public and the topic of circulatory movements is immediate. It is amazing how much people personally relate to the theme. HT: To take off from the last question, how do you think the urban-rural relationship in Mumbai compares vis-à-vis the above mentioned cities? M & R: India is a particularly mobile nation. Much more, in our minds than Europe. This is partly thanks to a very extensive and affordable railway network, which allows people to move between regions more easily. But overall, mobility is a defining aspect of the present condition worldwide. China has a history of regulation of movement. Moving from the village to the city is not as easy. 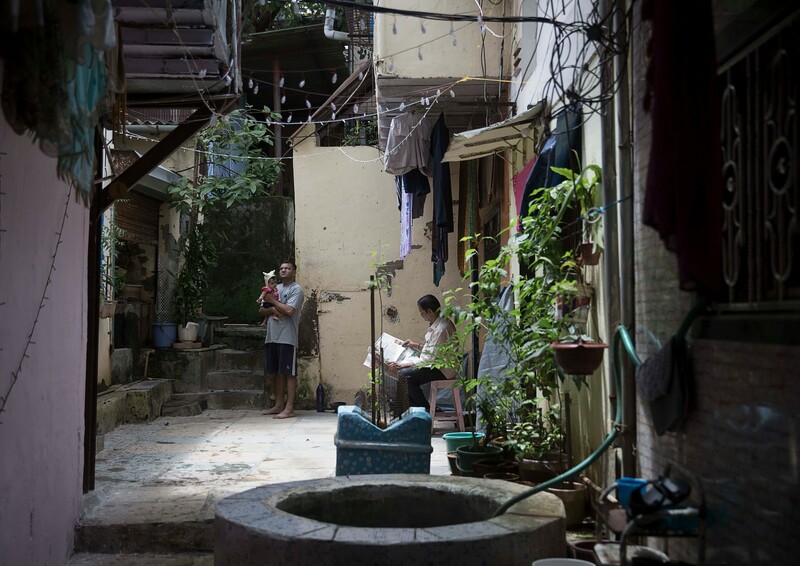 Millions of people are living in cities without being formally registered as urban residents, which makes it difficult for them to access many public services and even formal housing. They are called a “floating population” there. Movement seems to be endemic in the Indian sub-continent. Indians make billions of train journeys per year, many more than China. That being said, we must remember that even before the railways, people in India moved in similar rhythms. 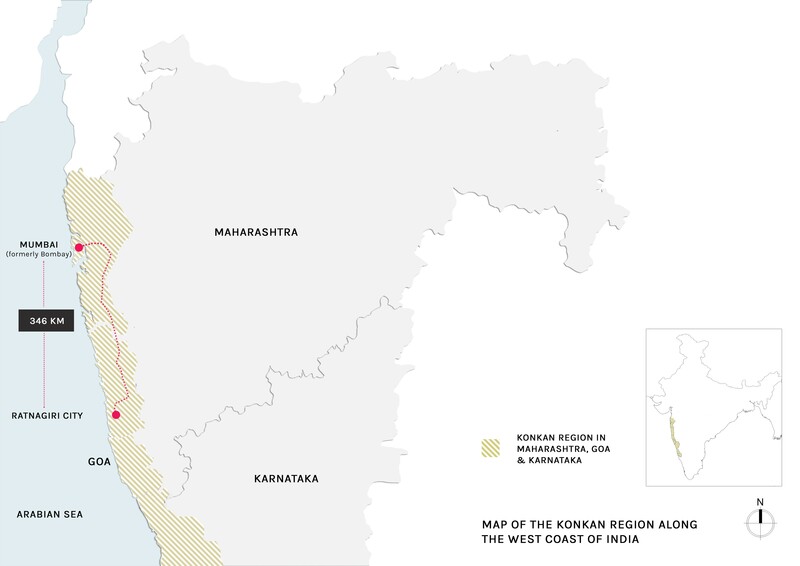 For instance, Mumbai's relationship of movement to and fro with Ratnagiri, is more than a hundred years old - way before the Konkan railways started. H.T. You’ve spoken about residents having monthly meetings and travelling to villages regularly to give back to their hometowns in some way. What were the other significant takeaways, for you, while you undertook this project? M & R: The fact that even after staying for two or three generations in Mumbai, families in the city have maintained well-developed and extensive relationships back in the village is one such takeaway. This is not what we expected to discover when we embarked on this research nearly five years ago, notwithstanding many years of established research on circular migration in India. Most urban practitioners are conditioned to believe that rural-urban migration is a one-way street. Another big learning was the fact that the younger generation, Mumbaikars to boot, also keep an emotional connect to the ancestral village. Some of the younger people we followed in our ethnographic study mentioned that they are attached to both the city and the village for different reasons. They don’t want the village to become the city. The distance is part of what allows both places to retain specific qualities. H.T. You’d also given an example of how chawl-living influenced a resident enough to build a home with a similar layout, in Ratnagiri. Did you come across other instances of architectural ‘give and take’ in Mumbai Return? M & R: Yes - we came across a village where the hamlet had piped water supply from a centralized well, inspired again from urban living. This was constructed by a ‘Mumbai-return’ family. On the other end of the spectrum, you also see real-estate development now in the region which is producing Mumbai-style flats all over - though that’s a slightly different story. What we are really observing is that villages are increasingly becoming part of the urban realm, but they have also, so far, been able to preserve a very different relationship to space and the environment. H.T: Was it an incident, a long-term observation of migrants and their families, or certain characters that inspired you to kick start this project four years ago? M & R: It was our work in Mumbai's various neighbourhoods - from Shivaji Nagar, to Bhandup, from Naigoan to Dharavi where we first started asking questions along these lines. We were intrigued by the way so many Mumbaikars were continuously going back to their ancestral villages. It was clear that a detour to the village was essential to understanding the inner workings of Mumbai city. Then the knowledge of the railways as being a very unique institution in terms of its reach and affordability added to the line of questions - followed by a rereading of the history of migration in India. H.T: Post-Mumbai Return, what exhibitions or other plans does urbz have in store, whether for the short- or long-term? M & R: We are constantly producing practices and knowledge and communicating them as part of our regular work. We have a small gallery attached to our office called the "Front-end" in Dharavi where we have shown and will continue to show our work to communicate these ideas and practices. This exhibition is part of an ongoing set of inquiries over many years. We are particularly happy to be showcasing our work at the city's oldest and most loved museum. In the coming years too we will continue doing more of the same, and in directions we cannot fully predict right now!